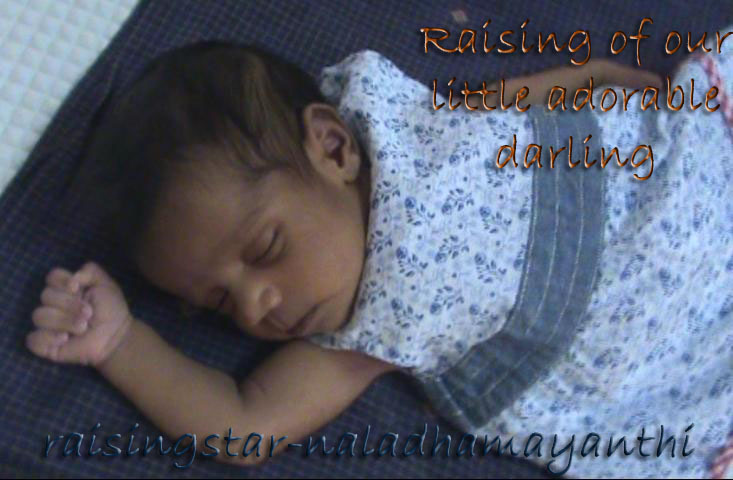 Raising of our little adorable darling: Are you boy? This is what happened last week in Thamizhini's school! It is really very funny to hear from her. Boy : Are you boy or girl? Boy: Then why are you wearing a boy's pant? But I felt "Owwww (hmm... may be Vadivelu style)". This is just an another proof that everything starts from the school. School is the first place where kids learn the practicality. Wow... Thamizhini started regular school!